Justice League is going to be a big movie with a bunch of big superheroes, so it stands to reason that the best way to see it is on a big IMAX screen. After all, only a giant theater could properly contain Batman, the Flash, Wonder Woman, Aquaman, Cyborg, and J.K. Simmons’ Commissioner Gordon—not to mention any supposedly dead superheroes who may or may not come back to life at some point in the movie. Luckily for anyone in Chicago who is particularly eager to see very big versions of some of the world’s most famous superheroes, The A.V. 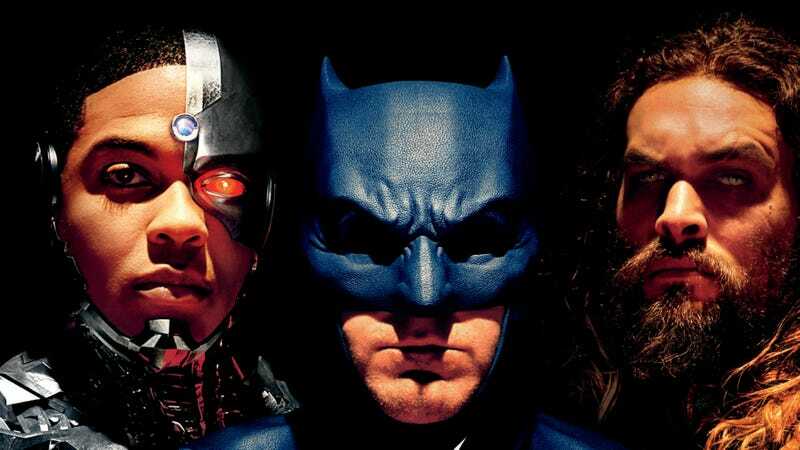 Club is giving away free passes to an early screening of Justice League at the Navy Pier IMAX theater. The screening will be held on November 14, and all you need to do to get free passes is enter your information at this link. Remember: Advance screenings are often intentionally overbooked, so be sure to arrive early if you want to secure a seat. If you’d like to wait and see Justice League with the non-metahumans, it’ll be in theaters on November 17. You can see the full poster art below.